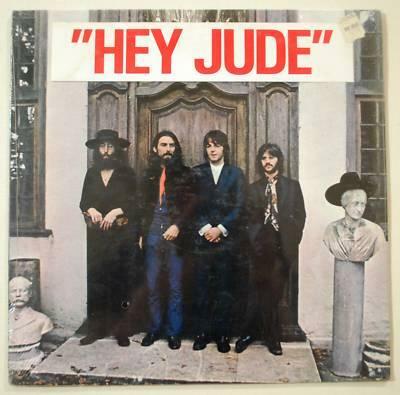 John Lennon was to say, “’Hey Jude’ is Paul’s. It’s one of his masterpieces”. 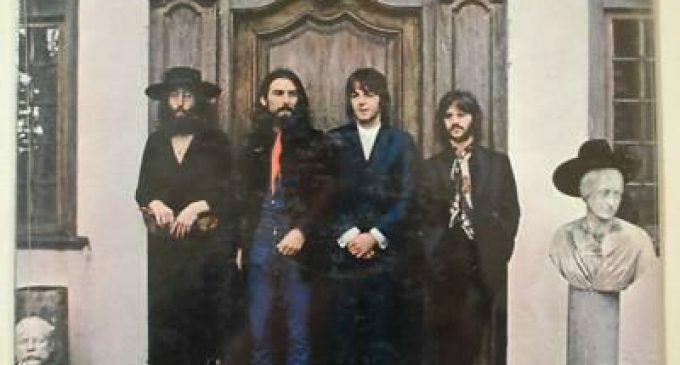 The Beatles spent two days rehearsing the number at Abbey Road Studios in July 1968 and on the second day they were filmed for the film documentary ‘Music!’ They then moved to Trident Studios to begin recording the next day and on the day following they employed the services of a 36-piece orchestra. Paul said that the song began life as ‘Hey Jules’ and was a message of encouragement to Julian Lennon at a time when his father and mother had parted the ways. The single was issued in both Britain and America on Monday August 26 1968 and topped the charts for three weeks. In the United States it topped the charts for nine weeks. It was also a No. 1 hit in Belgium, Denmark, Holland, Ireland, Malaysia, New Zealand, Norway, Singapore, Sweden and West Germany. The Apple boutique had closed, but Paul went to the shop and whitewashed the name ‘Hey Jude’ on the windows to promote the single. Neighbouring shopkeepers then objected, thinking it referred to ‘Juden’ and was an anti-Jewish slogan. Before an explanation could be given a brick was thrown through the window. Julian Lennon bought Paul’s recording notes for ‘Hey Jude’ for £25,000 at Sotheby’s rock ‘n’ roll memorabilia action held at the Hard Rock Café in September 1996. Another version of this number, lasting eight minutes and four seconds was included on the ‘Tripping the Live Fantastic’ album. It was recorded live at Riverfront Coliseum, Cincinnati, Ohio on February 12, 1990 during the 1989/90 World Tour. Paul had to apply to the High Court in April 2002 to prevent the auction house Christie’s from selling the handwritten lyrics to ‘Hey Jude.’ Paul’s representative stated that the lyrics were either stolen during one of several burglaries at Paul’s house or had been taken by someone working for him. The single sheet from a notebook had been put forward by a Frenchman Florent Tessier, who said he’d bought them in Portobello Road for £10 in the early seventies.